Health Ministry report details which hospitals have most cases of sepsis, which have least. The Health Ministry published on Wednesday morning a report on how many cases of sepsis occurred in each hospital in the year 2015. Of the large hospitals, Haifa's Rambam Hospital had 6 infections per 1000 days of catheter use, while Jerusalem's Hadassah Ein Kerem Hospital and Tel Aviv's Ichilov Hospital had 4.1 infections per 1000 days of catheter use. Tel Hashomer's Sheba Hospital had a rate of 3.9 infections per 1000 days of catheter use, and Beer Sheva's Soroka Hospital had 0.9 infections per 1000 days of catheter use. Of the medium-size hospitals, Hadera's Hillel Yaffe had 6.6 infections per 1000 days of catheter use, and Ashkelon's Barzilai Medical Center had 5 infections per 1000 days of catheter use, and Jerusalem's Shaare Zedek Hospital had 4.8 infections per 1000 days of catheter use. Continuing with the same measurement of incidents per 1000 days of catheter use, Haifa's Carmel Medical Center had 4.1 infections, Rehovot's Kaplan Medical Center had 3.3 infections, Petah Tikva's Rabin Medical Center (Beilinson) had 2.99 infections, Kfar Saba's Meir Medical Center had 2.9 infections, Assaf HaRofeh Medical Center had 2.3 infections, Nahariya's Medical Center Of The Galilee had 1.8 infections, and Afula's Haemek Medical Center had 0 infections. Among the smaller hospitals, Jerusalem's Hadassah Har Hatzofim had 8.3 infections per 1000 days of catheter use, Netanya's Laniado Hospital had 7.5 infections, Poria Medical Center had 5.7 infections, Tzfat's Ziv Hospital had 5.3 infections, and Petah Tikva's Hasharon Hospital had 1.33 infections per 1000 days of catheter use. 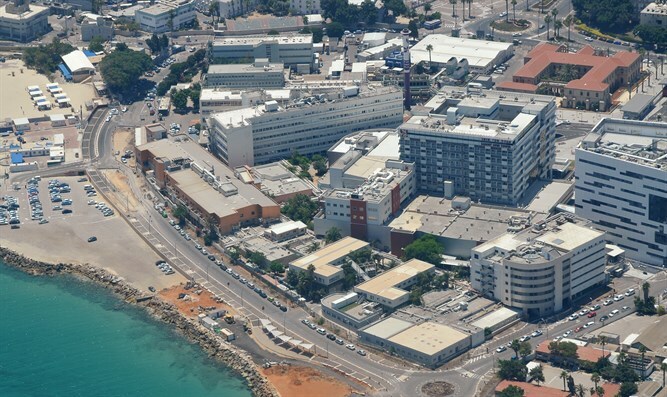 Eilat's Yosefal Medical Center, Haifa's Bnai Zion Medical Center, and Bnei Brak's Mayanei Hayeshua Medical Center were not included in the study because they presented inaccurate numbers to the Health Ministry. The US average is between 1.27-2.01 infections per 1000 days of catheter use, and Canada's average is 1.47 infections per 1000 days of catheter use. Both numbers are significantly lower than those of most Israeli hospitals. The Health Ministry estimates that between 3,000 and 5000 patients die each year of hospital-related infections, most of them sepsis. Patients suffering from sepsis are 2.27 times more likely to die than those without sepsis.Sepsis patients are also hospitalized 1.5 times longer than those without, and their average hospitalization lasts 19 days. In addition, sepsis is a primary cause of repeated hospital visits: Patients with sepsis have a 37% chance of being readmitted, whereas patients without sepsis have a 26.7% chance of being readmitted. The US Health Ministry estimates that the total cost of treating sepsis patients is $1.8 billion per year. Health Minister Yaakov Litzman (UTJ) said, "The infections contracted in Israeli hospitals are like a plague, and seriously threaten Israel's healthcare system. One of our main goals is to fight this serious issue. "These difficult statistics obligate us to take drastic steps to reduce the number of infections in hospitals and other medical centers around Israel. The Health Ministry will work to bring about the required change."